Magento is the most popular content management system for e-commerce. It is written in PHP and uses MySQL to store its data. It is open source application and used by more than 240,000 merchants around the world. In this tutorial we will install Magento 2 Community Edition on a server running CentOS 7.x. A Server running CentOS 7.x. Minimum 512MB RAM, but recommended is 1GB or more. Root access to your account. If you are logged in as non-root user, please use sudo su command to login as root user. First of all it is very important to update the packages and repositories available in your system using the following command. Once the packages are updated, run the following commands to install the required packages. The above commands will install the Apache web server and MySQL server on your server. Now start Apache web server and MySQL server also enable them to automatically start at system startup using the following command. Now configure Apache for mod_rewrite by editing the configuration file using your favorite editor. It is important to enable the mod_rewrite module as Magento extensively uses rewrites to generate links to its static resources. The configuration file for httpd can be found at /etc/httpd/conf/httpd.conf. In this tutorial we will be using the nano editor, but you can use any editor of your choice. To install nano on your server run yum -y install nano. Now scroll down and look for the following lines. Change the value of AllowOverride None to AllowOverride All. Now save the file and quit the editor. Now you will need to secure your MySQL installation but before that you will need your password for MySQL root user, which was automatically set during installation. Run the following command to obtain your root password. In above example output, you can clearly see a password which is generated for your root account. Now run the following command to run the script to secure your MySQL server installation. It will ask you for current password for root user, use the same password which we have obtained using the command above. Now set a strong root password for your MySQL root user, by default MySQL comes with validate_password plugin, hence you will be required to use a password that contains at least one uppercase letter, one lowercase letter, one digit, and one special character and that the total password length is at least 8 characters. Then it will ask you some configuration questions, the recommended answer is yes for all the questions. Magento requires PHP in order the work. PHP versions supported by Magento is from PHP 5.6 to PHP 7.1. In this tutorial we will be installing PHP 7 and some additional required PHP extensions for Magento installation. Run the following commands to install PHP 7 in your server. You can verify the version of your PHP installation using the following command. Now edit your php configuration file using the following command. Scroll down and look for the following lines. Increase the memory limit according to your server's RAM amount, for example if you have 2 GB RAM in your server, you may want to give it 1GB. If you're giving the memory limit in MegaBytes, then use M at the end of the value, you can also specify this value in GigaBytes using G letter at the end of the value. Scroll down further to find the following lines. You need to specify a timezone for your PHP settings, otherwise you may get a warning later. Magento uses the timezone specified by PHP. Uncomment the last line and specify a time zone as per your preference. It should look like shown below, just replace Asia/Kolkata according to your choice. Finally restart your web server using the following command. As we have installed and configured Apache, MySQL and PHP 7, we can now move on to the next step of the installation where we will be creating a database and a database user for Magento Data. To create a database login to your MySQL command line using the following command. Now enter your MySQL root password which you have created earlier. You should see following output. Now run the following query to create a new database. The above command will create a database named magento, Now you need to create the database user for this database and assign the user full access over the database. Use the following command for same. You can rename the database name from magento to any name according to your choice, also you can change Magento DB username from magentouser to anything you want. Make sure you use a strong password at the place of StrongPassword, otherwise you will get an error saying that the password does not meet require password strength. Now exit from MySQL prompt using the following command. You can also verify if the database and user has been created sucessfully using the following command. It will prompt you for password, once you are logged in you can see the list of database using the following command. Exit from the MySQL command line using exit command. As we have our database configured, we proceed to install Composer. Composer is a package manager for the PHP programming language that provides a standard format for managing dependencies of PHP software and required libraries. To install composer run the following command. The above command will install the latest version of composer in your server, you will see following output. In order to use composer globally run the following command. You can verify if composer is successfully installed using the following command. Now as we have composer installed, we can proceed to the installation of Magento. You can install magento using many different methods, also you can choose to install Magento with or without sample data. If you are installing Magento for evaluation purpose, you can choose to install sample data, if you are installing Magento for production environment, you can choose to install a fresh Magento and configure it yourself from scratch. The best way to install Magento is to download the Magento clone using Git and then install it using composer. This method is the only method of installation in which you may need not to create an account in Magento website. Download git using the following command. Now download Magento clone using git with the following command. The above command will create a directory named magento2 and store the installation files in it. The above command will install the latest version of Magento software into your server, which is a development version by default. 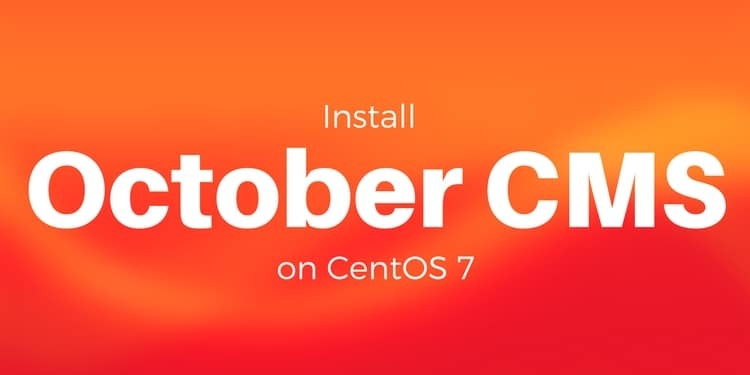 It is important to switch to a stable release, if you don't then you won't be able to upgrade the installation in future. If you wish to switch to a stable release, then run the following command. The above command will change the directory to your magento install directory and will checkout to a stable version 2.1.0. You can choose to checkout another version of Magento. You will probably want to move all the installation files to document root of the web server, because if you do not, then your magento will install on http://your-server-IP/magento2. shopt -s dotglob nullglob && mv /var/www/html/magento2/* /var/www/html/ && cd ..
Now your magento will be installed on your document root directory and will be accessible directly on http://Your-Server-IP, not in subfolder magento2. Now you will need to set appropriate permissions to the files and folders of Magento, run the following commands for same. Now install Magento using the following command. The above command will install the Magento software in your server by installing required frameworks. Now you have both the options to install Magento using web based interface by browsing to the following address using your favorite browser. Now follow the instruction provided on the web interface to finish the installation. Or you can also install the software using the command line. Use the following command to finish the installation of Magento. Make sure that you change these values according to your installation environment. You can also use a domain name at in the place of --base-url, if you have configured the DNS. It is advised that you use some random word to in --backend-frontname, to tighten the security of your Magento admin panel. Please note that whenever you have a space or a special character in the value of any option, enclose it with a single or double quote. If your Magento website is not shown, instead you get error 500 or Internal Server Error, you will need to reset the file permissions, using the following command. Check your website again, you must see your Magento website. You can login to your Magento administration dashboard by browsing the following link. If you have used a custom value in --backend-frontname then use that value instead of /admin. Now login to your admin panel using the username and password you used during installation. Once you are logged in, you will see following interface. Finally you will need to setup cron to run the scheduled jobs. To configure the cron jobs, run the following command. The above command will open the cron configuration file for the user apache using vi editor. If you get an error saying -bash: crontab: command not found. Run the following command to install crontab. Now add these lines at the end of the file, by pressing i in vi editor, once done press esc button and the :wq to write the file and quit the editor. The above installation will produce an ideal platform for your production site. But if you wish to evaluate Magento before making your production website. You can do so by installing sample data in your recently installed Magento site. Run the following command to clone the sample data in your server. Now run the following command to create symlinks to the Magento installation. php -f magento2-sample-data/dev/tools/build-sample-data.php -- --ce-source="/var/www/html"
Now you will need to clear the cache and file generated using the following command. Now you can upgrade the installation and install sample data using following command. Once the installation is finished, you can check back your website in your favorite browser and you will see your storefront is loaded sample data. In future if you want to upgrade your Magento version to the latest version, you can do so using the following command. 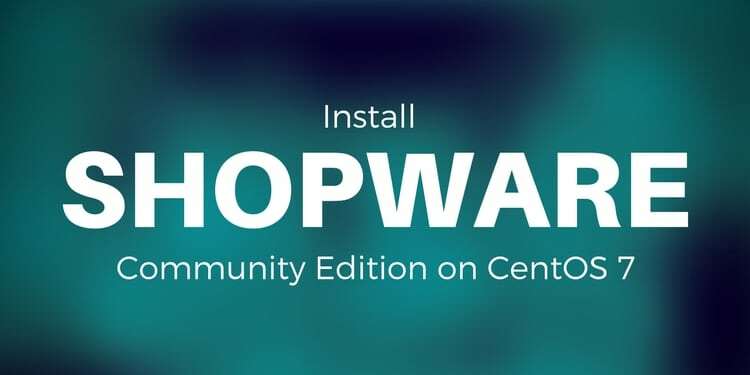 In this tutorial we have installed Magento 2 Community Edition on CentOS 7.x. You can now easily deploy Magento 2 either for production use or for development use. 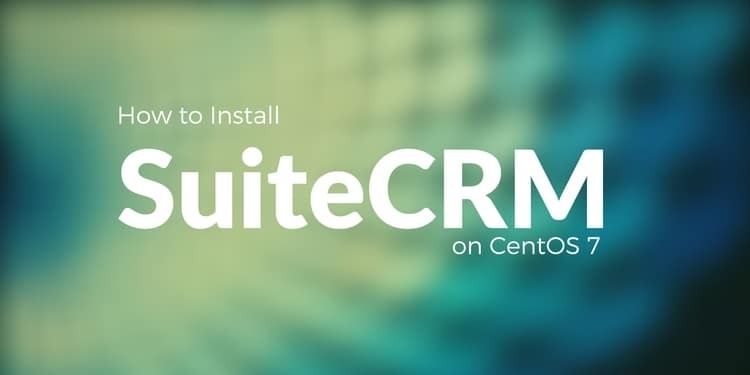 Apart from the method of installation described above, you can also install the software by downloading the installer archive from the Magento Website. You can upload and extract the installer to your server and then use web interface to install your software.